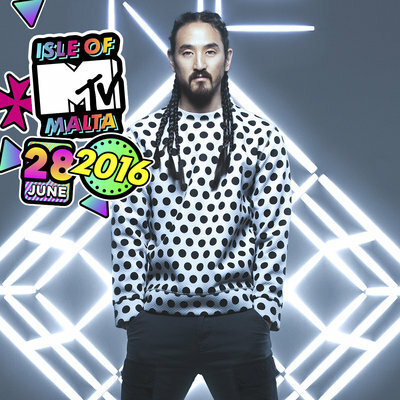 MTV has today confirmed that electro-house, superstar DJ, Steve Aoki will close this year’s Isle of MTV Malta 10th anniversary celebration. A partnership between MTV and the Malta Tourism Authority, MTV International’s biggest free live music showcase will return to the granaries of Il-Fosos Square on Tuesday 28th June 2016. 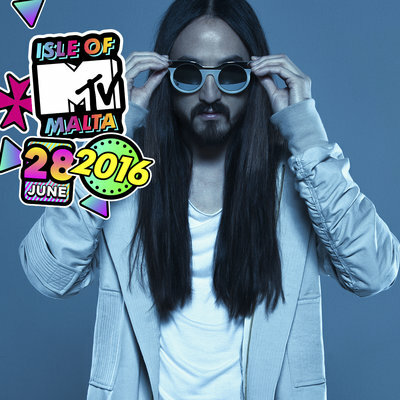 “I’m excited to tell you I’ll be playing at the Isle of MTV in Malta this summer. So bring on the sun ‘cause I’m coming June 28th” Steve Aoki. Closing the ‘party’ under the stars this year will be chart-topping DJ and producer, Steve Aoki, whose constant international touring schedule sees him play some of the biggest festivals and residencies across the globe. His debut album ‘Wonderland‘ was nominated for a Grammy Award for Best Dance/Electronica Album in 2013 and ‘Neon Future I’ and ‘Neon Future II’, his second and third albums, both released in less than a year of each other, charted 1st and 2nd on the Billboard Dance/Electronic album chart. His upcoming album features collaborations with Adam Lambert, Felix Jaehn and Walk the Moon to name but a few. Isle of MTV Malta will be filmed and edited into a 60-minute special that will broadcast across 20 MTV channels throughout Europe. The show will also be supported across all MTV social media platforms as well as via a bespoke website.As part of an extensive integrated marketing campaign, the Isle of MTV Malta concert will be supported by marketing initiatives, all of which will drive awareness of the event as well as leverage MTV’s world renowned brand and unique youth insight, to further cement and promote Malta’s position as a holiday destination for young people. Over the nine years that Isle of MTV has been held in Malta, the number of visitors to the island under the age of 24 has increased by 120.% and now account for 20% of all tourists.